Antonio Conte is plotting a move to land experienced Bayern Munich defender Rafinha after failing to land any of his top wing-back targets this summer, reports German publication Bild. With just two days of the transfer window remaining, Antonio Conte is trying to bolster his defensive options ahead of his second season in charge at Stamford Bridge and has identified the right wing-back position as a potential weak spot. Alex Oxlade-Chamberlain had looked set for a move to Stamford Bridge after Sky Sports reported that Chelsea had agreed a £35 million deal for the Arsenal winger. However, Conte has now turned to experienced Bayern Munich defender Rafinha, following the news broken by BBC Sport that Oxlade-Chamberlain has rejected a move to West London. 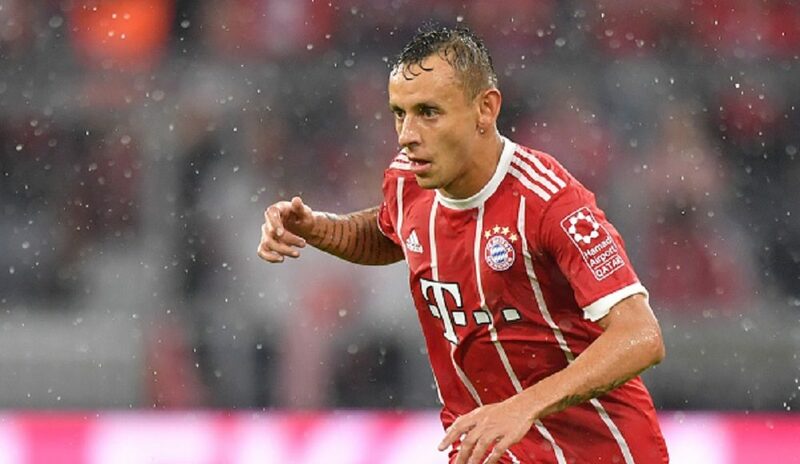 However, as per Bild, the German champions will be reluctant to sell Rafinha, who can play on the right or left side of defense. At the minute, Cesar Azpilicueta is the only player who can cover Victor Moses at right wing-back. But, with the Italian tactician preferring to deploy the Spaniard at centre back, it looks as though Chelsea are looking to add a right wing-back to their squad before the Thursday deadline.